The real estate sales growth in our area has been impressive for the last few years. Many of the outlining towns are enjoying a bump in sales as buyers push out in search of affordable properties. If you were to try to find a bargain in our area you will probably start your search in one of the outlying smaller towns. One of these towns that are seeing a surge in real estate sales is the town of Angier, NC. The downtown of Angier is located in Harnett County, but Angier boundaries stretch in Johnston County as well. Residents who live in Angier can anticipate an hour commute to downtown Raleigh or about ninety minutes to Research Triangle Park from the center of town. Obviously when the I-540 corridor comes in the western Wake area, this commute will be greater shortened, however, if you're employed in Fuquay, Garner, or Lillington, or Fort Bragg, you're going to have a breeze of a commute. In 2017, the price of homes has been appreciating in Angier. I pulled the information from recent sales for homes in Angier through today. The search was for homes that were built on site (not manufactured or modular) and had an average of three bedrooms and two baths as this is the common search that many buyers are looking for. All of the homes have actually closed, so this is not a reflection of new homes currently on the market. On the Johnston County side, the average home price is just over $216,000 for a site built three bedroom/two bath home in the area. 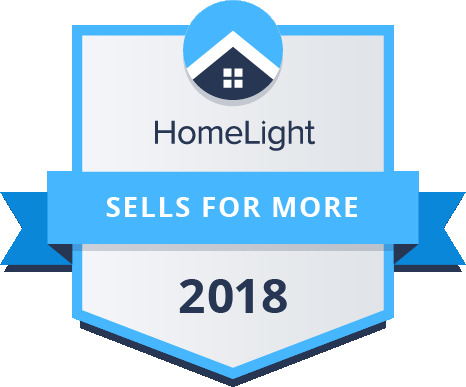 A total of 72 homes sold this year so far. Of these, 30 were brand new. The newer homes sold for more money, they had an average sales price of about $233,890. In the Harnett County side of Angier, 96 homes that fit the criteria of site built, at least three bedrooms, two baths, were sold this year. The average price for these homes was $181,697. Twenty-one (21) of the homes sold this year in Angier, Harnett county, were new builds. These averaged a lower price than resale, with an average of $177,909! Which was a surprise! That is going against the current norms, and could be something worth researching if you're looking to buy in one of the smaller towns. These days the new builds are usually a lot more expensive. WOW, think it's a good time to consider new builds on the Harnett side of Angier! There's bargains there still. PS - These home photos were taken from MLS from homes for sale in Oxford Woods in Angier.